Consider the largest stock holding in your portfolio. If I were to ask you to list ten reasons why you own the stock, what would you say? You might talk about the company's strong competitive position, its attractive profit margins, its solid balance sheet, and provide additional commentary about its growth opportunities. And well you should, as these are important points to consider before making an investment. Now, what if I asked you to list three to five reasons you're investing behind the company's management team? Perhaps that's not so simple to answer. I know I would struggle answering that question for some of my current portfolio holdings. The longer I invest, however, the more I've come to believe that what separates a good company from a great company is the people behind the business. A good horse with a mediocre jockey will win its fair share of races on talent alone, but a good horse with an elite jockey is even tougher to beat. Warren Buffett, for example, has stressed the importance of having a "knight" in the castle who is trying to widen the company's economic moat, the majority of Philip Fisher's "15 points" to look for in a stock are management- and employee-focused, and Ben Graham said in The Intelligent Investor that "It is fair to assume that an outstandingly successful company has unusually good management." William Thorndike's modern classic, The Outsiders, also opened my eyes to the potential for material outperformance when you've invested in a good business run by top-notch capital allocators. Admittedly, analyzing a company's management and corporate culture can be tricky and is far more qualitative than quantitative in nature, but therein lies an opportunity to separate yourself from other market participants. As such, our research time would be well-spent learning more about the company's leaders and what it's like to be an employee of the company. To illustrate, here are two companies in my portfolio and some reasons why I like the people behind each business. The company generates about $1 million in revenue per employee. This is a sign of a highly-motivated, very efficient business. WD-40 has a vibrant corporate culture. 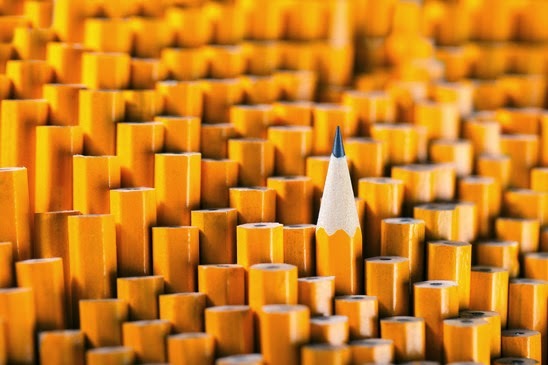 Employees are part of the "tribe," which may sound a little silly at first, but as Philip Fisher wrote in Developing an Investment Philosophy, "More successful firms usually have some unique personality traits...This is a positive not a negative sign." Companies with almost cult-like corporate cultures tend to have an uncommon ability to overcome challenges -- an intangible asset that should be considered when evaluating a company. The company has a near-perfect score on Glassdoor, with every employee review approving of the CEO and willing to recommend the company to a friend. Management has smartly focused on leveraging its WD-40 brand into other uses (bikes, specialist, etc.) and into new regions rather than trying to build up lesser-known brands in which it lacks a competitive advantage. Sun has a decentralized business structure, which puts decision-making power in the hands of all employees. If a customer needs something done right away, for instance, it doesn't need to go up five channels of bureaucracy to be approved. There are no formal job descriptions and employees are encouraged to learn other areas of the business. This greatly reduces "key employee risk" and if one person is out of the office for a week, the problem can still be solved. The board is only paid in stock in order to better align their interests with those of the shareholders. Very few boards do this, unfortunately, instead preferring considerable annual cash payments with some common stock as a kicker. 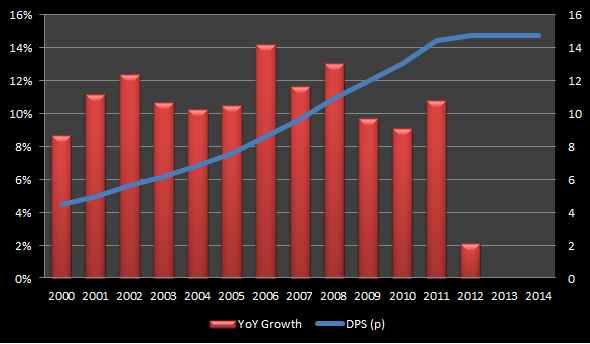 The company has a low dividend payout ratio, but usually pays out a special dividend in particularly good years. This is an appropriate strategy given the cyclical nature of its products and is indicative of a leadership team interested in sharing rewards with shareholders. How do you evaluate the people behind the businesses you own? Let me know in the comments section below or on Twitter @toddwenning. With the market riding high again, you might be thinking about selling a few holdings and reinvesting the cash when stocks have fallen again. Buy low, sell high. That's the idea, right? But before you hit the sell button, consider Philip Fisher's answer to the question, "Should an investor sell a good stock in the face of a potentially bad market?" My belief stems from some rather fundamental considerations about the nature of the investment process. Companies with truly unusual prospects for appreciation are quite hard to find for there are not too many of them. However, for someone who understands and applies sound fundamentals, I believe that a truly outstanding company can be differentiated from a run-of-the-mill company with perhaps 90 percent precision. It is vastly more difficult to forecast what a particular stock is going to do in the next six months...For these reasons, I believe that it is hard to be correct in forecasting the short-term movement of stocks more than 60 percent of the time no matter how diligently the skill is cultivated. This may well be too optimistic an estimate. So, putting it in the simplest mathematical terms, both the odds and the risk/reward considerations favor holding. It's a point worth re-emphasizing. You have much higher odds of identifying a truly outstanding company than guessing how that company's stock will perform in the next six months. Play the odds accordingly. I haven't always followed this advice. In April 2006, I bought shares of Core Laboratories (CLB), a high-quality and advantaged oil & gas services company, for a split-adjusted price near $26. Two years later, with oil prices near record highs, I sold the stock near $58 and patted myself on the back for a job well done. 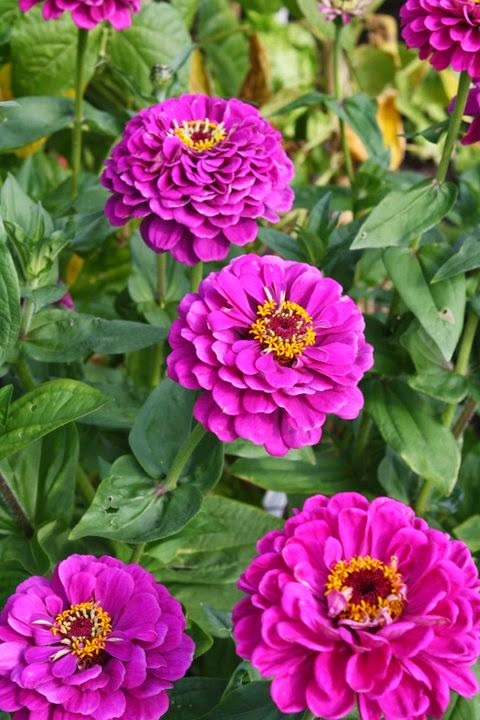 Don't pull out your flowers and water your weeds. I felt particularly good about my decision during the financial crisis when oil prices plunged and Core Labs fell back around $30. Had I capitalized on my sheer luck and bought back into Core Labs after it dipped, this story might have had a happier ending, but alas I did not. In fact, my portfolio's subsequent returns would have been markedly better had I done nothing at all. Fast forward to today and Core Labs is trading at $139 and was up to almost $200 earlier this year. Now, it's possible that I'm looking back at this case with a serious case of hindsight bias, but my selling decision in 2008 wasn't due to a lower opinion of Core Labs' business or its management. Instead, I wanted to lock in my 123% gain after a strong run in oil prices. Not a terrible decision, of course, but not a good one either. To see how it's supposed to work, fund manager Chuck Akre* said in an interview earlier this year that his firm has owned shares of Markel (MKL) for over 20 years and that they didn't sell during down times. During that 20+ year timeframe, according to Akre, Markel's book value per share increased 14% annualized and its stock price has grown at least at the same rate. If you're playing at home, those kind of annualized returns will turn a $10,000 investment into just under $140,000 over 20 years. While there are some good reasons to sell a stock, trading in and out of great companies in an effort to time the stock price is not one of them. Pressing the pause button on compounding can be hazardous to your wealth. One of the traits shared by the investors I admire is an insatiable thirst for a wide range of knowledge. (Look no further than Charlie Munger on this point.) For every investing book they read, they might read two or three non-investing books if not more. While it's absolutely critical to understand the science of investing -- accounting, valuation, analysis, etc. -- ultimately, the numbers reflected in a company's financial statement and the ones that go into our spreadsheets are by-products of human behavior. Without context, the numbers don't amount to much. The art of investing is understanding why people do the things they do, especially the things we ourselves do. The better control we have over our own emotions and actions when other investors lack control, the better our returns should be in the long run. Further, it's important to read on a variety of topics as the market is a complex system and the more strings we can tie together, the greater our potential for identifying value-creating opportunities. I'm curious to know what non-investing books you've read that have made a big impact on your investing strategy. You can let me know on Twitter @toddwenning or in the comments section below. One of my recommendations is Tao Te Ching by Laozi (Lao Tzu), which has had a tremendous impact on my philosophy on patience, even if I don't always practice it as well as I should. How to think like Sherlock Holmes - an older post from Farnam St. I recently attended the CFA Society of Chicago's annual dinner where a fellow attendee and I discussed how one of the more humbling things about going through the CFA Program, besides the difficulty of the curriculum and exams, is that you get a very real sense of the level of competition you face as an investor. Depending on the location of your CFA test center, you could be taking the exam with over 1,000 other capable, well-educated, and motivated investment professionals, some of whom have flown in from overseas at their own expense because their country doesn't have a test center. Yep, that motivated. You then realize the people you see are only a fraction of the global investment professionals with whom you're competing in the market every day. We know that in order to produce different results from other investors you must have a different approach, but how to differentiate yourself amid such formidable competition isn't obvious. To invest successfully, you need not understand beta, efficient markets, modern portfolio theory, option pricing or emerging markets. You may, in fact, be better off knowing nothing of these. That, of course, is not the prevailing view at most business schools, whose finance curriculum tends to be dominated by such subjects. In our view, though, investment students need only two well-taught courses - How to Value a Business, and How to Think About Market Prices. Your goal as an investor should simply be to purchase, at a rational price, a part interest in an easily-understandable business whose earnings are virtually certain to be materially higher five, ten and twenty years from now. Over time, you will find only a few companies that meet these standards - so when you see one that qualifies, you should buy a meaningful amount of stock. You must also resist the temptation to stray from your guidelines: If you aren't willing to own a stock for ten years, don't even think about owning it for ten minutes. Put together a portfolio of companies whose aggregate earnings march upward over the years, and so also will the portfolio's market value. You could also do a little of both, of course, which is often called the "core and explore" or "core and satellite" approach. The common thread, whichever strategy you choose, is patience and emotional self-control. As we've said here before, individual investors can't sustainably out-trade the institutions and that patience is the individual investor's greatest advantage over the market. We need to stick to our strengths. Our efforts as individual investors would be put to better use if we focused on learning to analyze businesses and control our emotions -- buying when others are selling, doing nothing when others are trying to force returns, etc. -- rather than trying to outfox other investors in the short-term. Though this is hard to do, I think it's the best way we can differentiate ourselves in the incredibly competitive marketplace of investors. To borrow a phrase from A League of Their Own, "It's supposed to be hard. If it wasn't hard, everyone would do it. The hard...is what makes it great." Sensible Investing recently completed a very well done 10-part video series on the investing industry. The title of the first page I opened to was, "What is a stock?" It was the summer of 2003, I'd just graduated from college and was reading through a Series 6 license study guide that Vanguard sent me a few weeks before my start date. All the financial lingo I came across as I flipped through the study guide was intimidating to say the least. "I might have made a mistake," I thought. I might be out of my league with this job. I was a history major in college, and even though I minored in economics, I had no clue about finance and investments. To illustrate, a neighbor who heard I was hired by Vanguard said to me, "Oh, we own some of their mutual funds. It's a really good company." I nodded along with her, but I confess that I still wasn't entirely sure what a mutual fund was. I needed to learn a lot. In a hurry. Before taking the job at Vanguard, I was deciding between a career in law or in teaching -- the typical paths for history majors. Investing, however, was something I knew I needed to learn about and I figured I'd try working in the industry for a year or two before going to law school. At the very least, I'd leave the industry knowing what to do with my money, so I applied to a few financial firms near Philadelphia. Vanguard was hiring entry-level registered representatives and they liked that I had experience managing a call center during college. My break was that I knew how to talk on a phone. The finance stuff, they must have figured, they could teach me. It was a steep learning curve. After a few weeks of training, I was on the phone speaking with 40 or more clients a day about mutual funds, placing trades, and walking through IRA transfer forms. While it wasn't exactly the job I'd envisioned as an idealistic recent graduate, speaking with such a broad group of individual investors was great training. After a year on the mutual fund side, I moved over to brokerage and was introduced to equity investors. My first day on that job, someone called and asked for the current quote for Microsoft. I asked him, "What's the ticker?" Click. Guy hung up. That's how green I was with stocks. 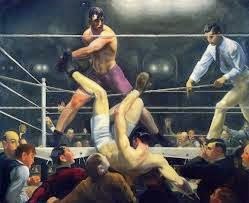 Working in brokerage was my first real meeting with Mr. Market and the emotions that drive short-term stock swings. The busiest day I had in brokerage, for example, was not on some good economic news or during tax season -- it was when Howard Stern announced he was joining Sirius Satellite Radio. No one cared about price, they just wanted to buy. Few people have a strong understanding about investing and many people are intimidated by it. Learning how to invest is not easy and requires a lot of time, interest, and dedication. Most people are aware of the first two points and want someone they can trust to help them achieve their goals so they can focus on other things. Investing and money management is an emotional business. The account balance isn't just a number -- it represents someone's life savings and is a by-product of their labor. The financial professional's job should be to help the person manage those emotions and make prudent investment decisions. There's always something you don't know about investing. 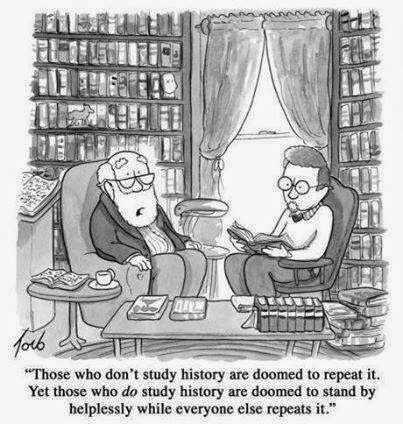 It's a never-ending education. Getting started in investing can be overwhelming, but it's important to remember that everyone has to start somewhere and no one is born a natural investor. The critical thing is to stay confident and never stop learning. Gifted, determined, ambitious professionals have come into investment management in such large numbers during the past 30 years that it may no longer be feasible for any of them to profit from the errors of all the others sufficiently often and by sufficient magnitude to beat the market averages. 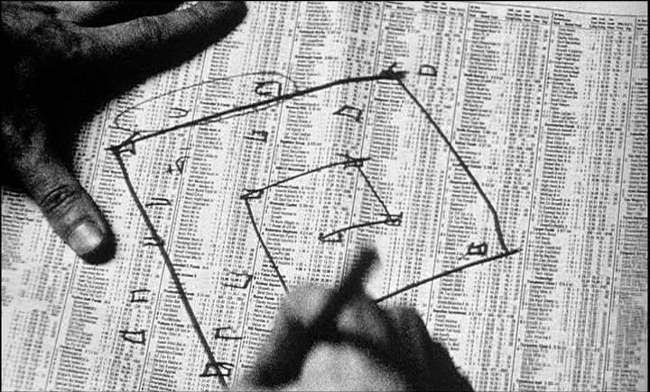 Ellis concluded that the influx of smart and motivated people into the industry led to money management becoming a “loser’s game” -- a game in which you'd be crazy to compete and one that you should perhaps consider surrendering to (i.e. buy an index fund). Ellis recently reiterated this opinion in a recent article for the Financial Analysts Journal. It's natural to read these comments and get discouraged about buying individual stocks, but Ellis's 1975 article offers a few excellent tips on how to not play the loser's game. 1. Be sure you are playing your own game. The individual investor’s advantage is not in trading. The hedge funds, mutual funds, and professional traders of the world simply have better data, more advanced trading platforms, and more financial incentive to focus on the short-term. The weekend investor doesn’t stand a chance versus this type of firepower, so trading is a game where the odds are stacked against the individual investor. Staying patient, keeping a long-term mindset, and exploiting your advantages as an individual investor alters the playing field and improves your odds of success. The less complicated your investment strategy, the better. As Ellis recommends, "Try to do a few things well." By focusing your efforts on one strategy -- whether it is based on dividends, small caps, deep value, etc -- and consistently sticking with it, you can more effectively tune out distractions and make better decisions. As a result, you'll keep trading costs down and give yourself the best opportunity to realize your return objectives. 3. Concentrate on your defenses. Ellis advocates improving your selling strategy because the market’s focus on buying makes it difficult to gain an edge on that side of the equation. It’s a fair point. To figure out how we might improve our selling strategy, let's consider the market's selling strategy. While each investment firm has its own selling strategy, we know that the average mutual fund turnover ratio in recent years implies that, on average, stocks owned by funds have been held for just over one year. Our key strength as individual investors lies in our ability to be patient, so our selling strategy should start with the idea of holding for at least three years and ideally five years or longer. Obviously if one of your stocks shoots well above your fair value estimate, it might be time to sell or trim the position, but on average we should look to hold for longer periods of time. According to Ellis, the market turned into a loser's game precisely because investors’ "efforts to beat the market are no longer the most important part of the solution; they are the most important part of the problem." Resist the temptation to try harder for better returns. In fact, do just the opposite. This doesn’t mean you should pick stocks at random and buy and hold forever. Do your homework, of course, but be deliberate and patient, too. Let the market go through its phases of euphoria and despair and stay your course. Don't try to force returns. Trying to beat the market in the short-run is a loser’s game if you make it your primary investment objective, so don’t play it. Instead, redefine the game. Establish your own objectives, stick to your strengths, and stay patient and when you look back at your returns five years from now, I think you'll like what you see. If you happen to beat the market, all the better. For more on the "loser's game", a new multi-part video series by Sensible Investing addresses the topic and has a lined up a number of good interviewees. Here's the trailer. I've updated my Dividend Compass spreadsheet to fix a few bugs. You can download the updated version here. A version of this post was published on April 14, 2012. It has been updated. I finally got around to reading William Thorndike's The Outsiders -- a sure classic that I've added to the "must read" section of my recommended books on investing. Looking through my Kindle copy of the book, I have 70 highlights and bookmarks, so going through all of them here would be a bit onerous to both read and write. 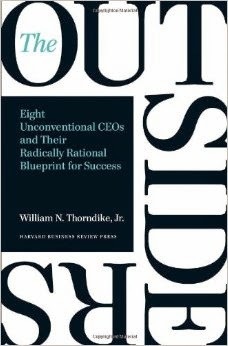 Instead, I want to focus on the core principles of eight CEOs that Thorndike lays out in the introduction. With a nod to Buffett's Graham and Doddsville, which analyzes a group of investors who consistently beat the market by following the principles of Benjamin Graham and David Dodd, Thorndike calls his group of CEOs "Singletonville" after former former Teledyne CEO Henry Singleton. Capital allocation is a CEO's most important job. Cash flow, not reported earnings, is what determines long-term value. Decentralized organizations release entrepreneurial energy and keep both costs and "rancor" down. With acquisitions, patience is a virtue...as is occasional boldness. Right away, you'll notice that most CEOs don't embody these principles. In fact, if you invert each principle, you're closer to how most CEOs approach their jobs (with perhaps the exception of the sixth principle). Even though Buffett's been writing about the importance of management's capital allocation decisions for decades, it's a topic that's been undercovered for much too long. The reason it has flown under the radar, I believe, is that analyzing management is largely qualitative in nature and doesn't lend itself well to screening tools and Excel spreadsheets. Indeed, it's generally only after the fact that a CEO's impact can be measured and appreciated. Thorndike writes, for instance, that "You really only need to know three things to evaluate a CEO's greatness: the compound annual return to shareholders during his or her tenure and the return over the same period for peer companies and for the broader market (usually measured by the S&P 500)." The key for investors, of course, is to identify these CEOs before they dramatically outperform the market and their peers. And here is where understanding the capital allocation processes practiced by the CEOs in Thorndike's book come in handy. If you come across a CEO or management team with an approach that includes some of the principles mentioned above, you might be onto something. The next step is to read the company's annual reports, understand how executives are incentivized, and reverse engineer management's capital allocation decisions to determine why and how management arrived at its decision to acquire a certain company, divest an asset, or repurchase its stock. Just because a company may not be led by a member of Singletonville doesn't mean the company isn't worth owning. Elite capital allocators are few and far between; decent-to-good capital allocators, while still rare, are more common. Provided those decent-to-good capital allocators are running a company with durable competitive advantages, that can still be an attractive business to own at the right price. Finally, the princples outlined by Thorndike in Outsiders can also help you avoid investing behind CEOs that are decidedly poor capital allocators, and ultimately that might be just as important as finding the elite CEOs. "If everyone is doing (buybacks), there must be something wrong with them." With the exception of 2009, gross buybacks have outpaced dividends paid by U.S. companies each year since 1997. As such, it's absolutely critical that investors -- even dividend investors -- take buybacks into consideration when evaluating companies. In a buyback, selling shareholders benefit at the expense of ongoing shareholders if the stock is overvalued, and ongoing shareholders benefit at the expense of selling shareholders if the stock is undervalued. All shareholders are treated uniformly only if the stock price is at fair value. In other words, when a company repurchases its shares at a discount to fair value, it's a good use of shareholder capital and ongoing shareholders make out quite well. 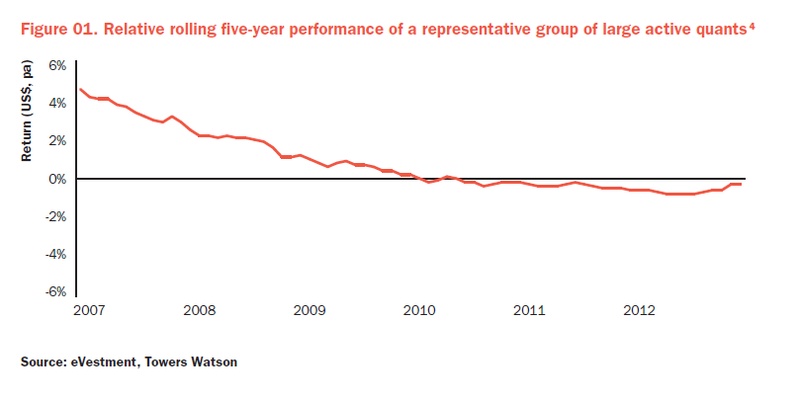 However, relatively few management teams consistently buyback stock at opportunistic prices. 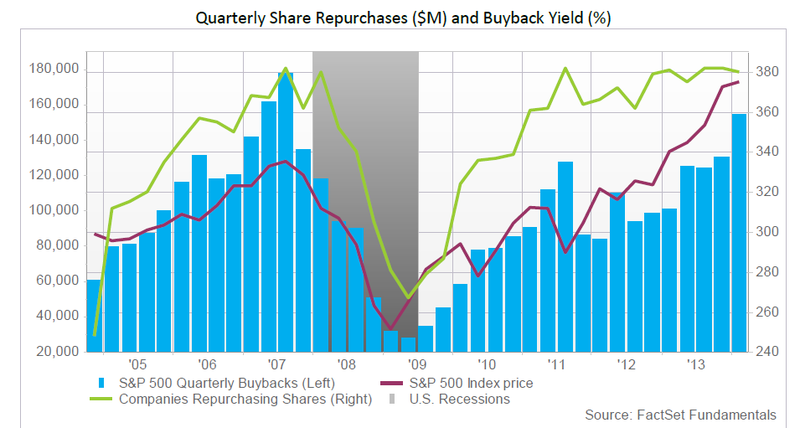 Indeed, the number of S&P 500 companies repurchasing shares and the amount spent on buybacks tends to follow the market. While there are undoubtedly some companies making smart and opportunistic buyback decisions today, when the majority of companies are also buying back stock, it's not likely that companies on average are adding much long-term shareholder value with share repurchases. And when corporations embarked on massive buybacks across all industries and all companies, in effect these CEOs are buying the stock market. So what they’re telling you then, is unequivocally that they think that either they’re happy to earn the stock market rate of return or maybe something hopefully better. Or their rate of return on the margin of any new capital project is much much lower, in fact half or less of what is stated. And that does not bode well for the future of profits, or for the quality of earnings reported as current profits. Any investor can earn the market rate of return on their own using low-cost index funds. We certainly don't need companies doing it on our behalf. If companies can't find projects (including their own stocks) that generate long-term value, that cash should be returned to shareholders via dividends. Let the shareholders decide how to reinvest the cash as they see fit. In my baseball-playing days, I was on the mound in a big playoff game, and at a key moment in the game I threw what seemed to be a good pitch, only to watch as the ball sailed over the fence for a home run. It might still be traveling somewhere over North Jersey, it was hit so hard. Walking back to the dugout after the inning was over, I was furious with myself for throwing the pitch. What was I thinking? What did I forget to do? What could I have done better? All natural questions to ask when you've experienced a bad outcome. In the dugout, I asked our catcher what he thought went wrong. He said, "Nothing at all. It was exactly what I called for and it was in the right spot. You've gotta tip your hat to the hitter -- he just took a great swing." Nine out of ten times that pitch would have either led to a strike or an out. Instead, that time around the ball was hit out of the park. The process was right, the outcome was bad. If I could do it again, I would have thrown the same pitch...just perhaps a few more inches outside. 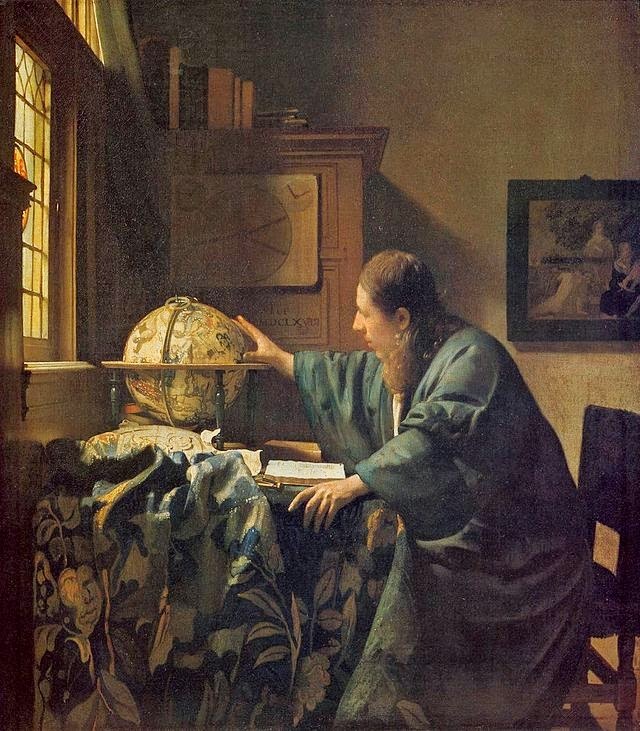 This story from my glory days was on my mind this week as I was re-reading Michael Mauboussin's More Than You Know (which I highly recommend if you haven't already read it). Results - the bottom line - are what what ultimately matter. And results are typically easier to assess and more objective than evaluating process. But investors often make the critical mistake of assuming that good outcomes are the result of a good process and that bad outcomes imply a bad process. In contrast, the best long-term performers in any probabilistic field...all emphasize process over outcome. When the market is strong, it's easy to fall into a false sense of confidence about your investment process because you're receiving almost daily positive reinforcement from rising stock prices. The opposite is true when the market is down -- you could have a good process experiencing bad short-term outcomes. It's important to remember that there's a lot of randomness and luck involved in short-term market outcomes and they aren't indicative of investing skill. What really matters is whether or not your investment process can survive short-term periods of positive and negative reinforcement and deliver longer-term results. In a probabilistic field like investing, a good process will produce good results over time and over a large sample. Stoic: It can endure both good and bad short-term outcomes without getting emotionally swayed in either direction. Consistent: It doesn't adjust to current market sentiment and sticks to core competencies. Self-critical: The process is periodically reviewed, includes both pre-mortem and post-mortem analysis on decisions, and is refined as needed. Business-focused: Rather than rely on heuristics like "only buy stocks with P/Es below 15," a good investment process focuses on understanding things like the underlying business's competitive advantages (if any) and determining whether or not management has integrity and if they are good capital allocators. Repeatable: A process gets more valuable with each application -- insights are gained, deficiencies are noticed, etc. Simple: The less complex, the better. If you can hand off your process to another investor without creating significant confusion, you're on the right track. What do you think? Let me know in the comments section below or on Twitter @toddwenning.